FK talks to Fernanda who is one part of Dirty Hands Printmakers, a printmaking collective from Sydney who is also showcasing at the markets this weekend. 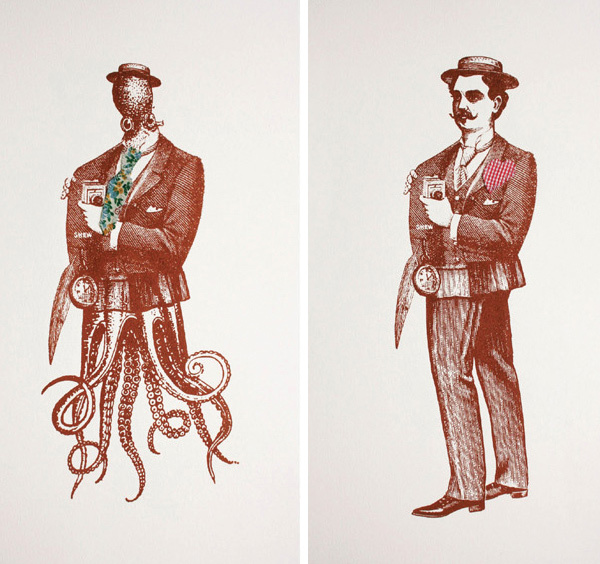 Tell us all about Dirty Hands Printmakers – what is the concept and who are the people behind it? Dirty Hands draws together individual minds interpreting life with themes ranging from lighthearted to political, personal to universal. We begun as a group of 10 printmaking students from diverse backgrounds studying together at COFA and in 2008, after our first group exhibition we decided to officially form the artists collective Dirty Hands Printmakers. We aim to promote printmaking as an innovative, exciting and contemporary medium for making art. To name a few of the Dirty Hands crew: Enrique De Val’s work speaks of the human condition and what it means to be human, he works in print and across other disciplines including performance. Ben Rak makes socio-political comments about our consumerist society. 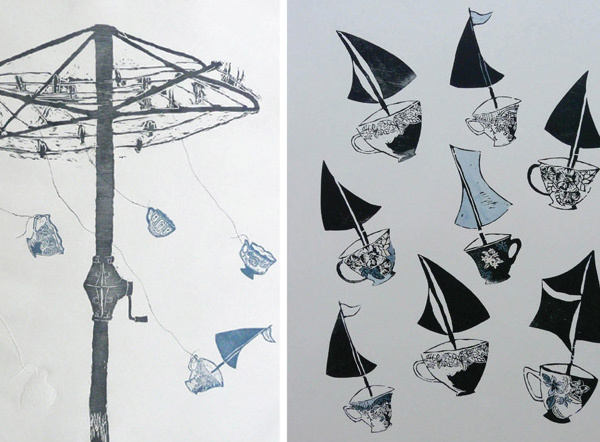 Helen Daley creates personal and imaginative pieces, conveying narrative with poetic imagery. Sian McIntyre combines printmaking with sculpture, and is currently working on a body of work looking at refuse as a marker of Australian colonisation. Although we all work together in the same medium, our approaches vary greatly, creating an energetic and inspiring working environment, but also a brave new approach to print. What sparked the idea of starting DHP and how does it work as a collective? Dirty Hands creates an environment where we can all continue to collaborate outside the university. We have supported each other throughout out studies and have gained knowledge from each other that is just as (if not more) valuable than the training we have received at university. We challenge each other and also encourage each other to create new and exciting work. We all specialise and get excited by different mediums, Ben and Fernanda with Screen Printing, Helen and Jess with Collagraphs, Enrique with Lithography and Sian with Etching. We combine our knowledge and aesthetic styles to create new and exciting artwork, unbound by the formal ideas and practices traditionally adhered to by printmakers. Printmaking is a medium with countless aesthetic possibilities. Unlike drawing and painting, you are not restricted by a particular practice or medium. Printmaking allows the artist to overlap, to scratch back, to build up and then to start all over again. It’s a process, but once the technical skills have been learned, printmaking allows a freedom in creation that is difficult to find elsewhere. The ability to document and print multiples of the process of creation is also a great luxury, as it allows us to take chances (which sometimes produces the best work). While some may view printmaking as a lesser cousin to painting and drawing, we have fallen in love with this medium, and all its vast aesthetic possibilities. 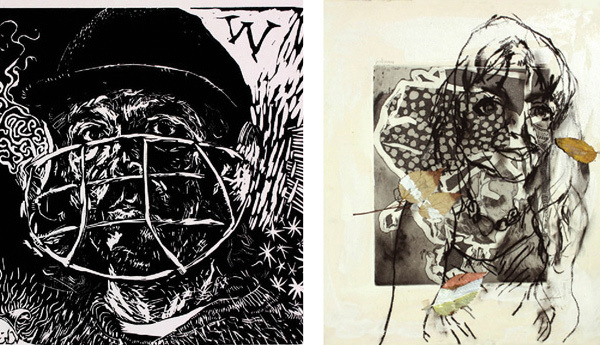 What benefits & differences does printmaking have over other visual arts? The qualities of printmaking (as discussed above) allow it to take so many different shapes and styles. We really try to combine different practices of image making with printmaking to test the boundaries of art practices. Some of us make monoprints (one off prints that cannot be re-created) these are not prints in the formal de-valued sense, they are as one off and as unique as an oil painting. 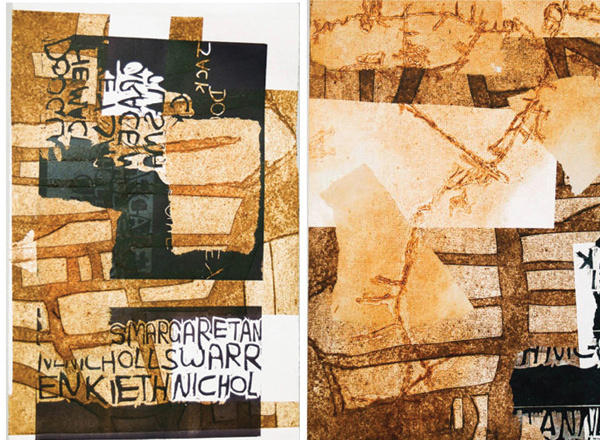 Printmaking also lends itself to sculpture and installation, both Gokcen and Sian have combined sculptural practices with printmaking to create atmospheric and otherworldly installations. 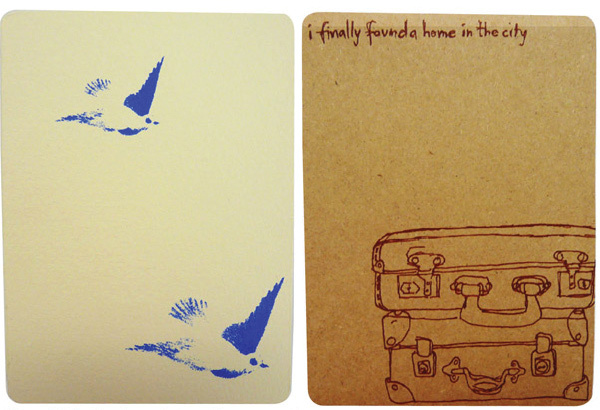 When the basic technical skills of printmaking have been learned, the sky is the limit. We have all had the chance to work with prolific artists including Elisabeth Cummings, Fiona Foley, Ben Quilty, Reg Mombassa, and Pupunya Tjupi artists, and have had the chance to see these artists, from many different creative backgrounds, creating prints that reflect and also feed their other work. The strength of printmaking lies in the fluidity of the medium, it is able to develop and support almost any artistic practice. Where would you most like to see the work of DHP? Well, we will be having a show at Hardware Gallery, Enmore in June 2010 – so we’d love to see it there for starters, but really, the sky is the limit. We are a group of driven and enthusiastic young artists, and we are ready to break some barriers and test some long held beliefs about printmaking. What are you working on now and what can we expect to see at Finders Keepers? We have all been working on our own stuff this year, so there will be a diverse collection of prints. Each of us works with a particular aesthetic and concept, so in one Dirty Hands Printmakers show, expect to see about twenty totally different interpretations of printmaking and image making. There’ll be something for everyone!!!! Great, inspiring and inclusive. Love it. I love the visuals inculded with this article, and love hearing about artists’ collectives. I feel like often printmakers don’t get the attention they deserve, so it was nice find this article.